“Spam” is a very common word for them who are surfing the internet and I’m pretty sure that everybody hates spam as like as me. And, when it comes to a WordPress website, it’s getting harder and harder to guess what’s the real one and what’s the fake. Today, there are a lot of ways out there that shady marketers are using to do this dirty work, like using Spam-Bots, paying people to carry out a sneakier spam approach, etc. That means it’s really worth to manage a way to stop or catch this kind of comments and pingbacks before it’s too late to keep safe and secure your website or blog. But, what’s the way and how can anyone do it easily? 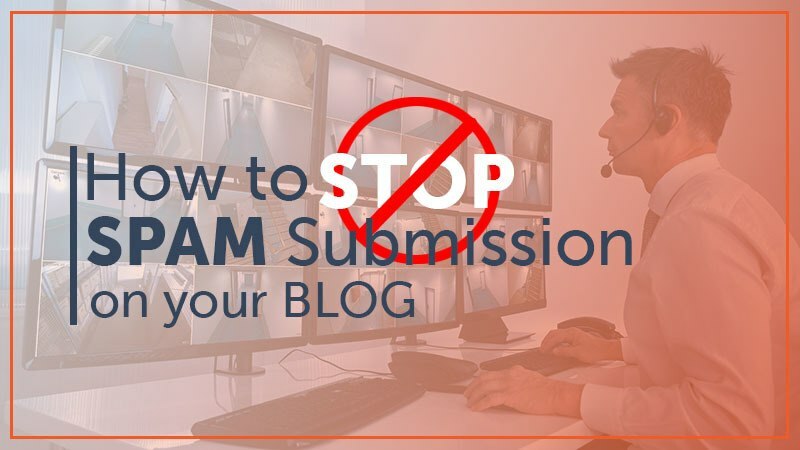 Yes, here I’m going to share the most convenient way to STOP spam submission on your WordPress blog using a plugin called “Akismet” – one of the best Spam Blocking Plugins for WordPress website. At first, you need to get installed ‘Akismet’ plugin into your WordPress site. But if you did a WordPress installation by yourself using a Quick Install method via your website hosting cPanel, you probably have Akismet installed already in the plugins area of your dashboard just waiting to be activated. If it’s not, do a simple search for it on right on your dashboard by clicking ‘Add New’ under the plugins area of your WP dashboard, putting the name of it into the search bar. You’ll find it, now simply click the ‘Install button’ and once it installed click the button ‘Activate’. Here, you’ll be asked for an API key in order to make it works to stop the unwanted Spam submission. If you’re already a Jetpack Plugin user, you probably have a ‘WordPress’ account and then it’ll be easier to complete the whole process. Just click on ‘Setup Your Akismet Account’, you’ll get a window like above, from where you can activate Akismet by simply clicking ‘Connect with Jetpack’. But, if it’s not you’ll need to create a WordPress.com account to access your Akismet dashboard to get the API key. So, go back to your installed plugin page click on the big blue button that’s written in ‘Get Your API Key’ and you’ll find something like the picture above. Now, click on the ‘Get an Akismet Key’ button to go forward. It leads you to the page – Sign up for Akismet with a WordPress.com Account’. If you don’t already have a WordPress.com account, then you need to create an account to move on with getting your Akismet account and plugin setup and activated it properly (it’s not possible to use Akismet without a WordPress.com account). Then, simply fill-up the required fields and then click on ‘Sign Up’ button. But, if you already have a WordPress.com Account, then click on the link – ‘I already have a WordPress.com account!’ to sign into your account. Then you’ll be landed on the page like the image above where you need to choose a subscription package basis for Akismet. However, it’s a premium plugin but you don’t need to go for any premium subscription right now, Free is good enough to start. 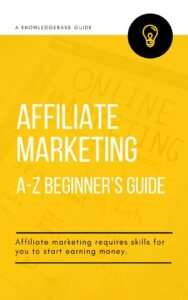 Assuming, you’re setting up Akismet on your personal blog, not for a Business or larger network, then you can simply select ‘Get Personal’ package. Now you’ll come to the page for the subscription where you’ll see the price is already set to 36$ for the year. But, if you can’t afford the price right now or want to pay later after watching it working for some days, then slide the price point on the bar reducing to Zero. Then, enter your first and last name, then click on the ‘Continue with Personal Subscription’ button. Your registration is complete now and a new popup will appear in the new window where you’ll see your nice and new API Key. Simply, copy the Key and head back to your WP Dashboard. Now, go back to your Akismet settings area and then paste and save your API Key in the required area. Click on the ‘Save’ button and you have finally fully activated your Akismet plugin. Now, you can say bye-bye to ‘Spam’. So, that’s it, using Akismet Spam Blocking Plugin is the easiest way I think to STOP spam submission on your blog. If you’re having the problem with Spamming on your site, give it a try right now, you’ll be able to forget about spamming on your site. Anyway, if you’ve you used Akismet before, let us hear your experience. Or, do you have any other Spam Blocking Plugin that you’re using and can’t live without. Tell us about that, we’re all here together.